In a bowl, mix the almond flour with all the other ingredients up to and including the cinnamon. Mix in the honey and almond butter. The mixture should be slightly sticky but easy to divide and shape. Shape approx. 8 rounds (approx. 1 cm high and 5 cm in diameter), arrange on a tray lined with baking paper and place in the freezer for approx. 20 mins. Heat all of the ingredients in a small pan, pour into a blending cup and puree. 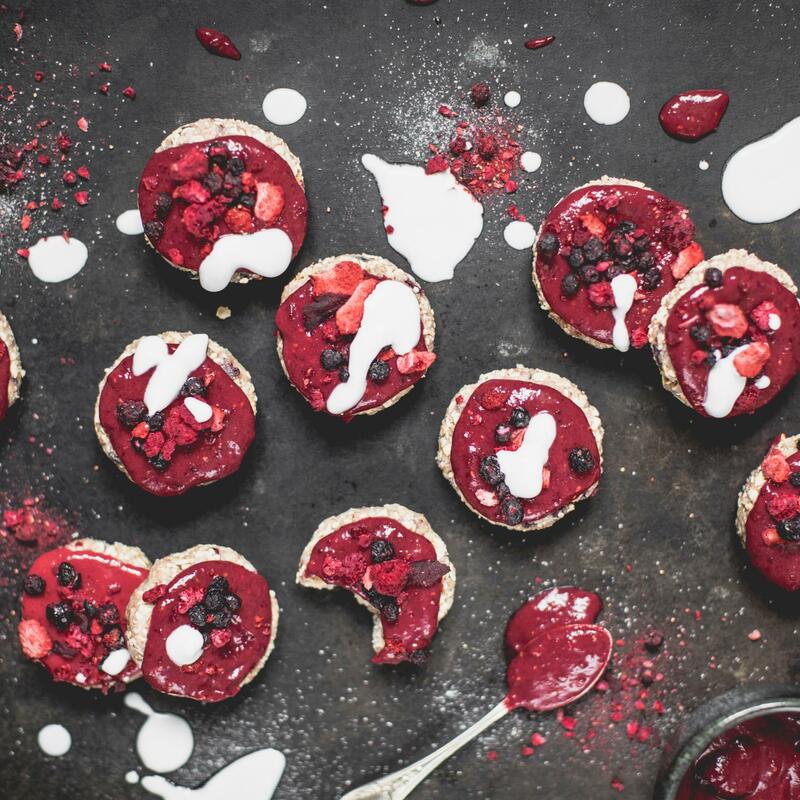 Spread the berry puree on top of the rounds. Decorate the rounds with berries and coconut milk. The rounds can be kept in the freezer for approx. 2 weeks. Prepare the berry puree prior to serving.